While you may be familiar with Thai and Lao cuisines using the leaves of the Makrut lime tree to add fragrance, the fruit itself is also used for its aromatic and astringent flavor. In this recipe, we utilize the entire fruit—from the bumpy rind to the tart juice—in a velvety butter sauce. Preheat the oven to 500°F. Wash and dry the fresh produce. Heat a pot of salted water to boiling on high. 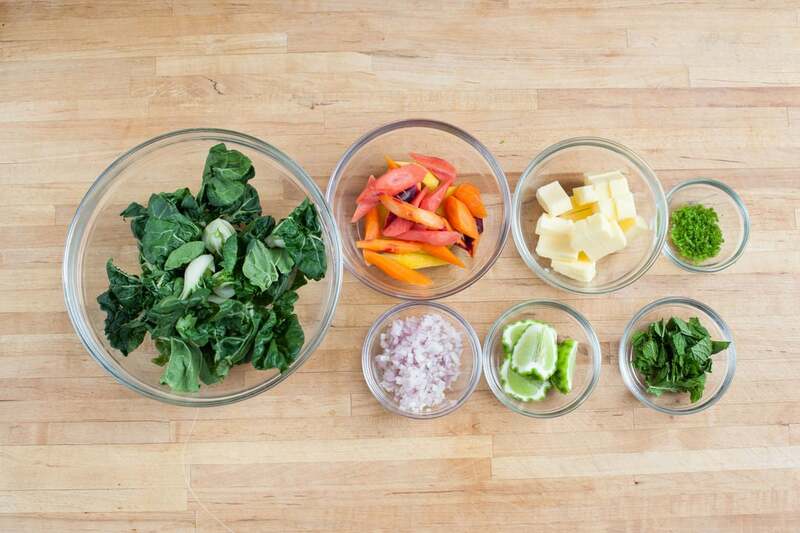 Peel the carrots, then cut them at alternating angles into 1½-inch pieces. Cut the butter into ½-inch cubes. Pick the mint leaves off the stem, then roughly chop. Halve the tatsoi. With a pairing knife or peeler, remove the peel of the kaffir lime, then finely chop the peel to make about 2 to 3 teaspoons of zest (or use a citrus grater). Cut the lime into quarters. Peel and mince the shallot. 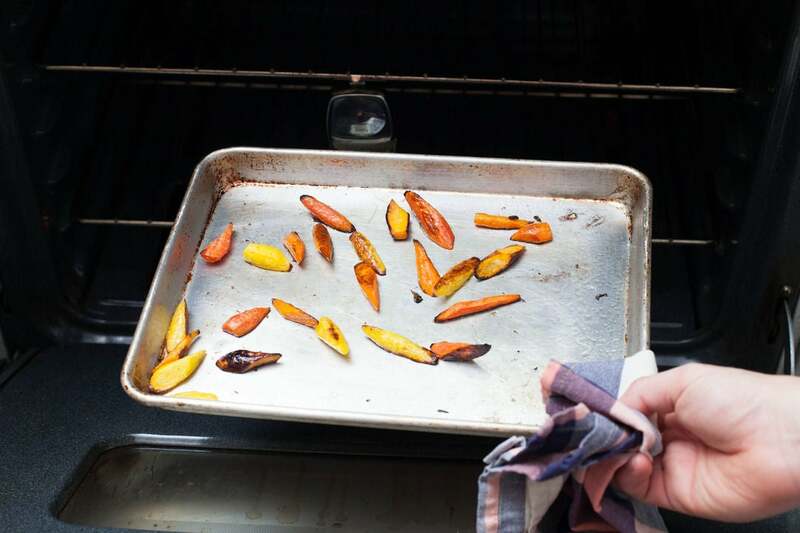 Place the carrots on a baking sheet and drizzle them with about 2 teaspoons of olive oil. Season with salt and pepper and toss to thoroughly coat the carrots in the olive oil. Roast for 10 to 12 minutes, or until browned and tender when pierced with a knife. 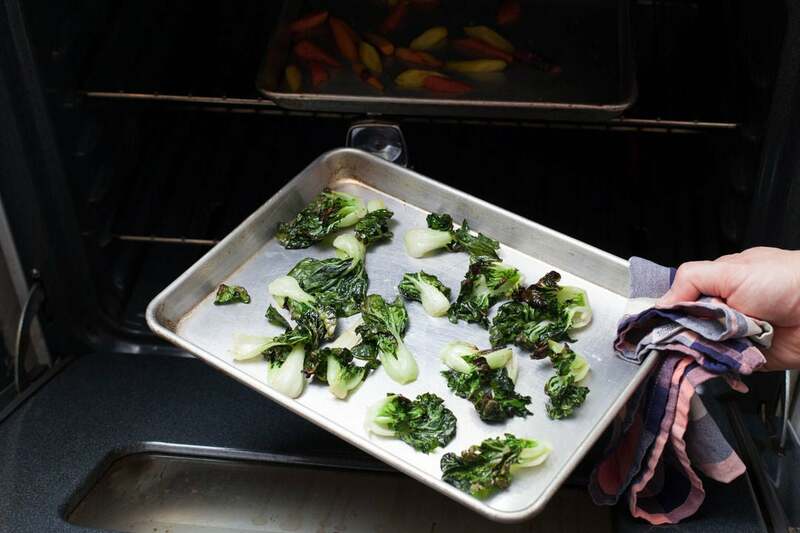 On a separate baking sheet, toss the tatsoi with about 2 teaspoons of olive oil and with salt and pepper. Roast for 6 to 7 minutes, or until browned and tender. Once the water is boiling, add the Israeli couscous. 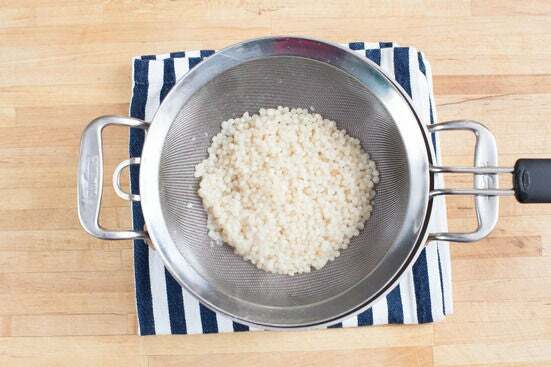 Cook for 5 to 6 minutes, or until the couscous is completely tender. Drain well and return to the pot. Stir in the juice of 2 kaffir lime wedges and a drizzle of olive oil, then season with salt and pepper to taste. 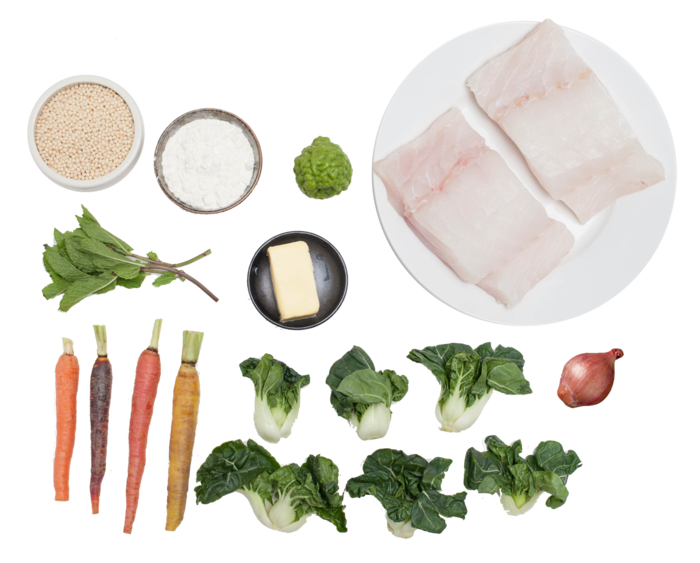 Pat the fish fillets dry and season with salt and pepper. Gently dip the fillets in the flour to create a thin coating, shaking off any excess. In a medium pan (nonstick, if you have one), heat a little olive oil on medium-high until hot. 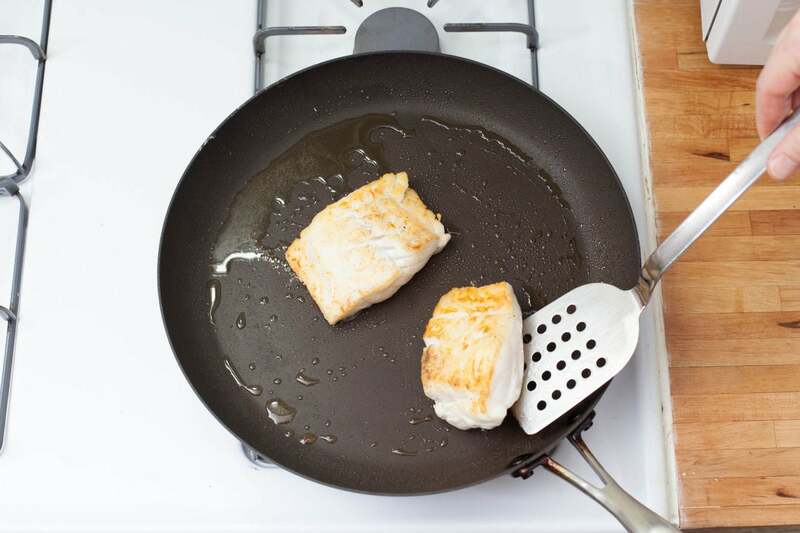 Cook the fillets for 4 to 5 minutes per side, or until golden brown and cooked through. Transfer to a plate and wipe out the pan. In the pan used for the fish, heat a little olive oil on medium-high until hot. Add the shallot and season with salt and pepper. Cook for 1 minute, or until slightly softened. Add the kaffir lime zest and ¼ cup of water, then turn of the heat, leaving the pan on the stove. Working in 3 batches, slowly whisk in the butter until completely combined and smooth. Stir in the juice of the remaining kaffir lime wedges and set aside. Just before serving, stir the mint into the couscous. 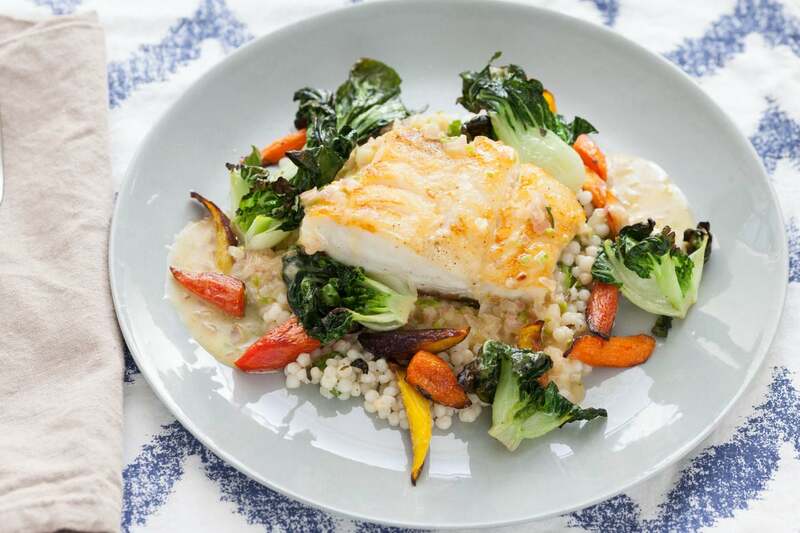 To plate your dish, divide the couscous, roasted vegetables, and cod between 2 plates. 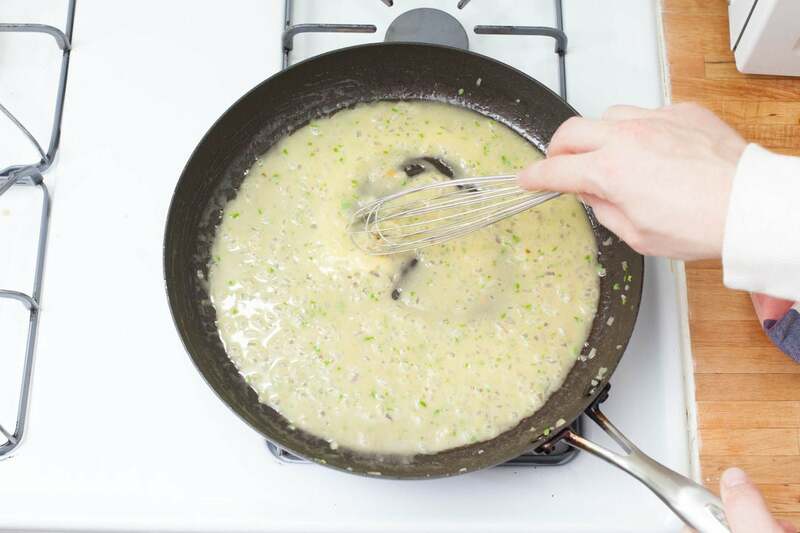 Spoon the butter sauce over the top. Enjoy!